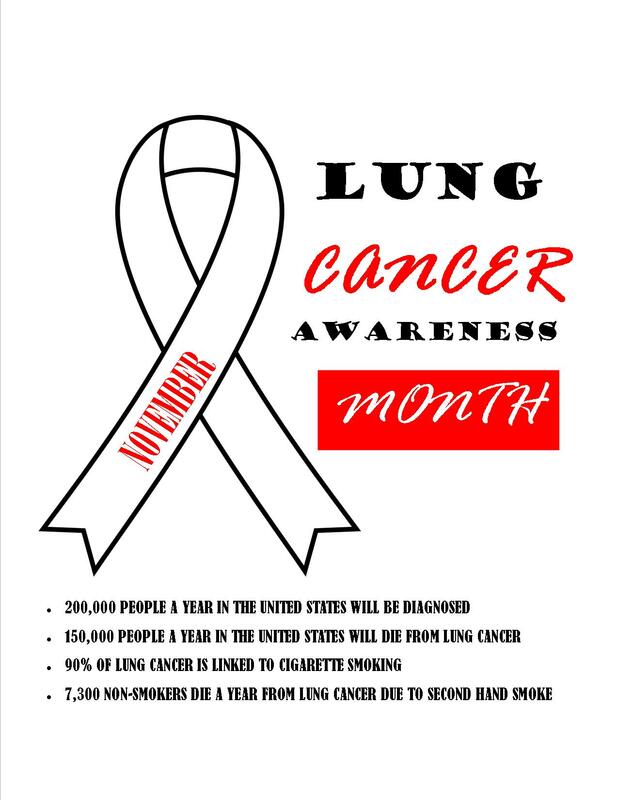 November is Lung Cancer Awareness Month, 90% of people diagnosed with Lung Cancer are current smokers or have smoked in the past. Men who smoke are 23 times more likely to get lung cancer, women are 13 times more likely. 7,300 non smokers die a year from lung cancer due to second hand smoke. For information on smoking cessation, please contact the Hancock County Health Department.